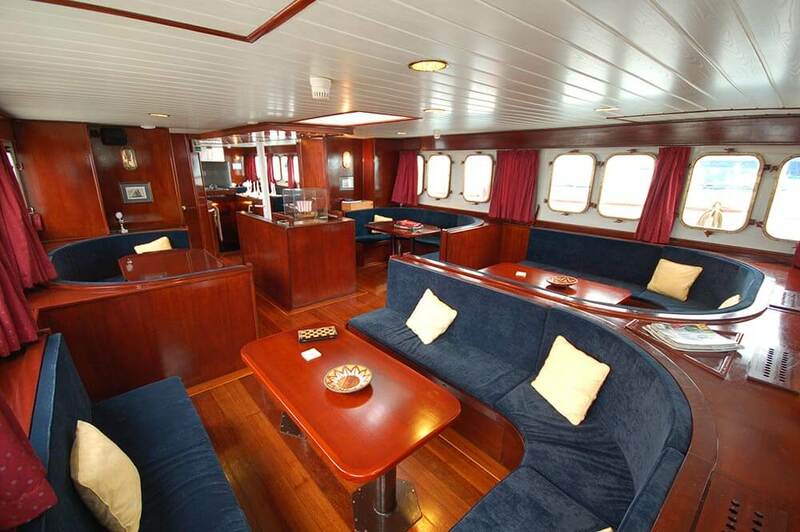 Owned and managed by the Angermeyers, one of the islands’ most established families, S/S Mary Anne was launched in 1997 and was unique from the start with a capacity for 34 passengers but limiting each cruise to just 16 accommodated in 12 cabins. 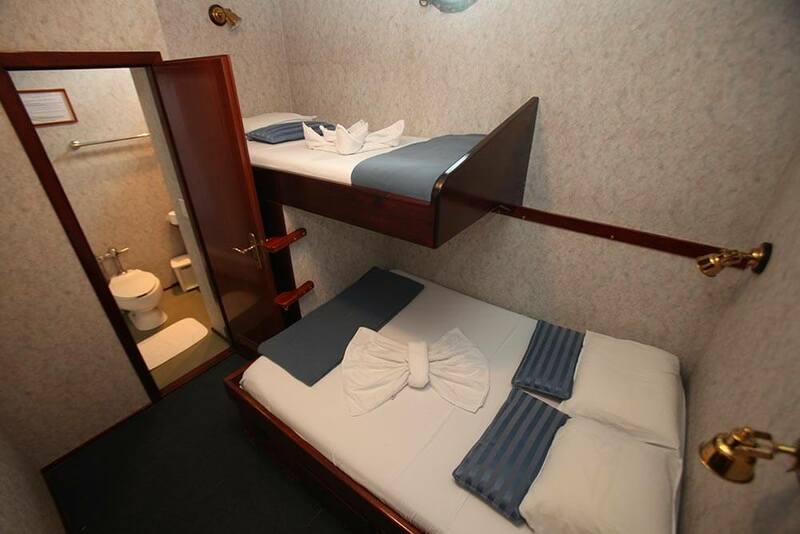 Each of the cabins has a single upper and double lower berth with private facilities. 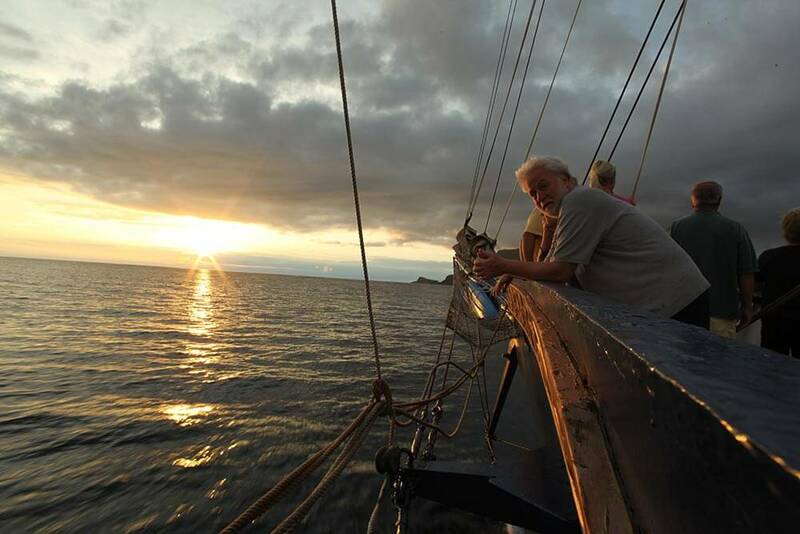 As well as offering a range of itineraries from five to fifteen day duration accompanied by a naturalist guide, the captain and crew arrange a number of other on-board entertainments. 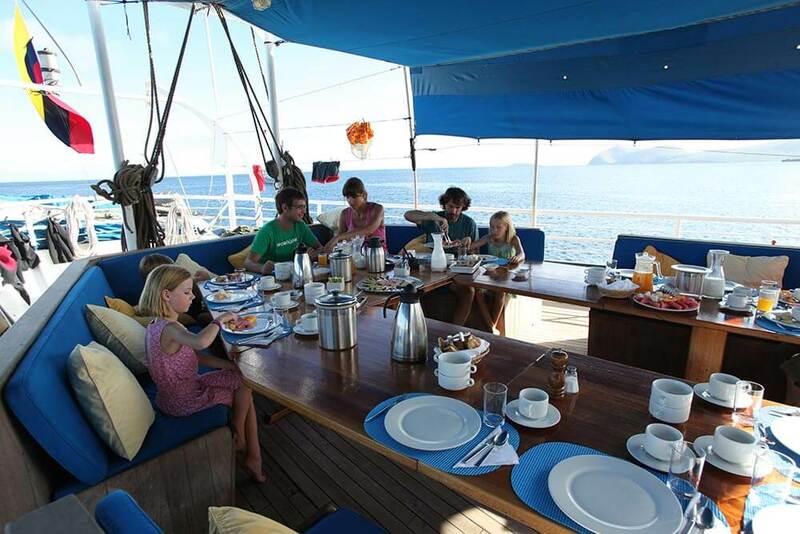 There is also ample deck space for al-fresco meals and sunbathing when you are not on one of the many activities – island visits, swimming, snorkelling. 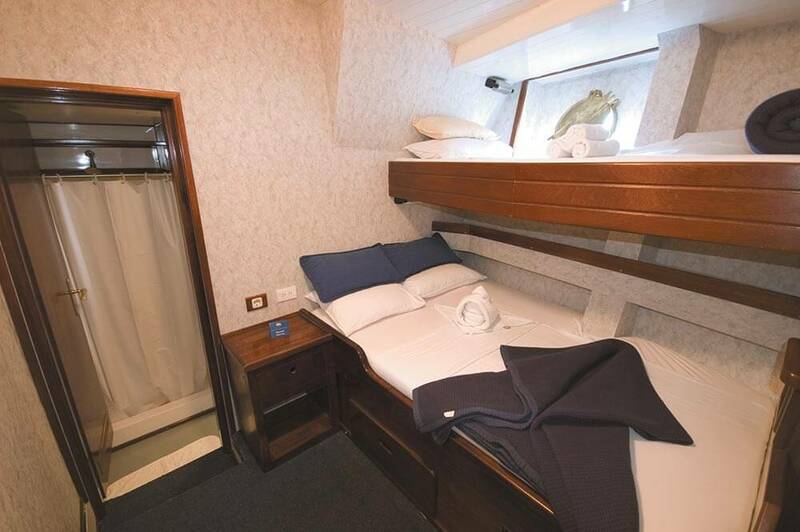 The Mary Anne is the perfect ship for those who love to travel under sail; she has 1000m2 of canvas with which she majestically takes to the waves. Naturalist guide and experienced crew members. 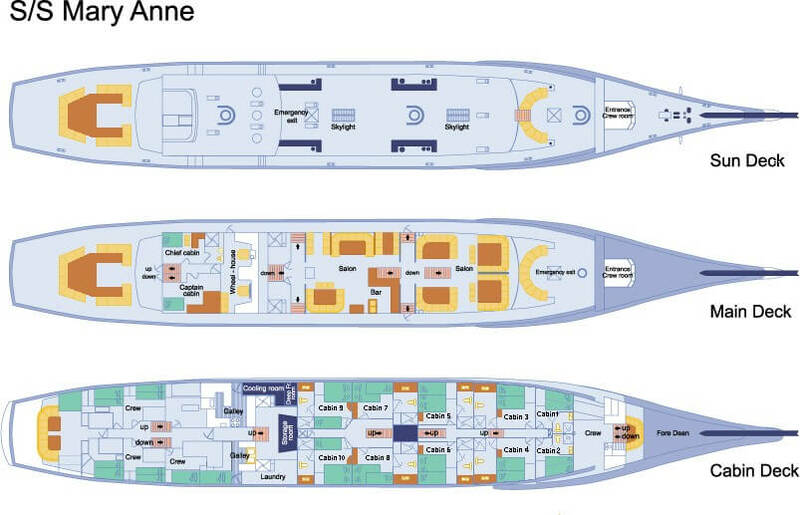 Where will S/S Mary Anne take you? 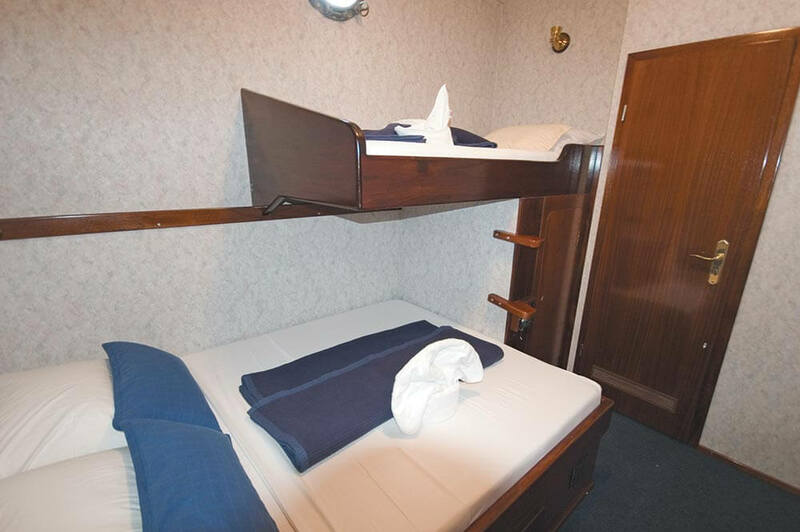 Both Itineraries can be combined into a 15 days itinerary. Contact our South America Team on 020 7386 4646 for further information or by email. 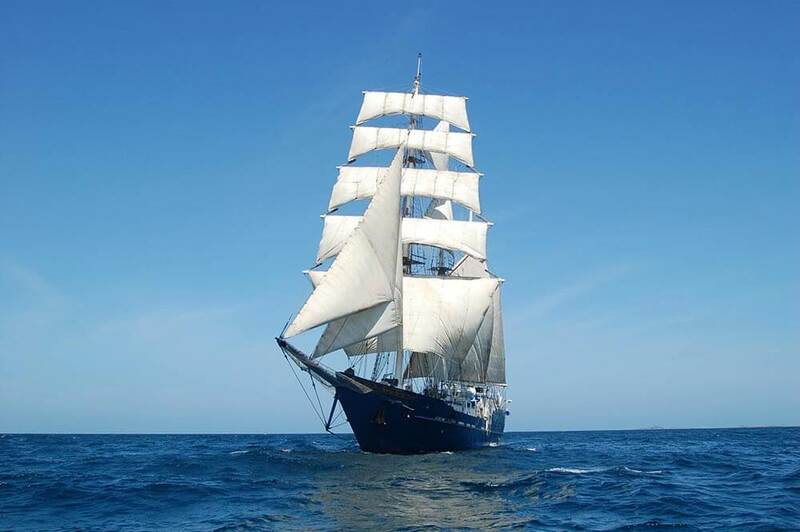 NB: Because of the large distances which need to be covered, much of the travel has to be done by engine but the sails are hoisted when the weather and timings permit.